Synopsis: Public Safety responded to the report of an unknown vehicle and its occupant following a Swarthmore student. Swarthmore Police were notified, and this information is on file for future reference. Synopsis: Public Safety responded to Wharton Residence Hall for an activated smoke detector alarm. There was no smoke or fire. It was determined that a commercial aerosol spray had activated the alarm. Synopsis: Public Safety responded to Hallowell Residence Hall for the reported odor of gas. The area was checked with negative results, and Facilities was notified. Synopsis: Public Safety was notified by a Swarthmore employee of a fire on the grass area outside of Old Tarble. The fire was extinguished and there was no property damage. It was determined that the fire was caused by leaves caught under a lawn mower. Synopsis: Public Safety received a report from a Swarthmore student about a vehicle collision involving a College-owned vehicle. There were no injuries. Synopsis: Public Safety responded to Wharton Residence Hall for an activated fire alarm. There was no smoke or fire. The cause for the alarm’s activation was undetermined. Synopsis: Public Safety received a report of concerning remarks placed on a whiteboard in Hallowell Residence Hall. The matter was referred to the Dean’s Office. Synopsis: Public Safety and Facilities responded to Dana Residence Hall for the reported odor of smoke. It was determined that a candle was lit in a residence. The matter was referred to the Dean’s Office. Synopsis: Public Safety responded to Parrish Hall for the report of an injured visitor on campus. No further medical treatment was necessary. Synopsis: Public Safety responded to McCabe Library for an intrusion alarm. The area was checked with negative results. Synopsis: Public Safety responded to Worth Residence Hall for a report of loud music. The room was identified and the student turned off the music. Synopsis: While on patrol, Public Safety observed an individual not affiliated with the College within the nursery area. The individual was identified and left without incident. Synopsis: Public Safety responded to the Crum Woods Holly Collection for reported vandalism. The matter is under investigation. 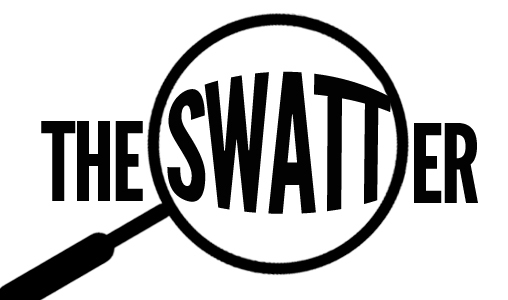 Synopsis: Public Safety, Swarthmore Police, and an ambulance responded to Pittenger Residence Hall for the report of an ill Swarthmore student. It was determined that the student was intoxicated and in need of further medical treatment. The student was transported to the hospital and will be cited for underage drinking.